Gout Care is our signature herbal blend with which we have assisted people with gout since its introduction over 12 years ago. 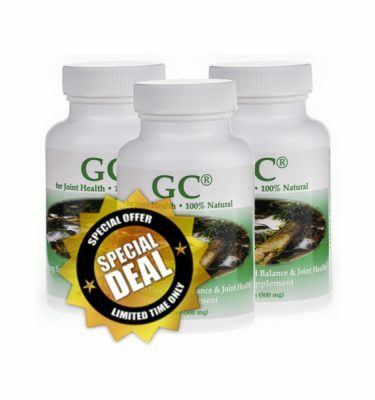 GC® is absorbed into the body to aid in the removal of stored uric acid. 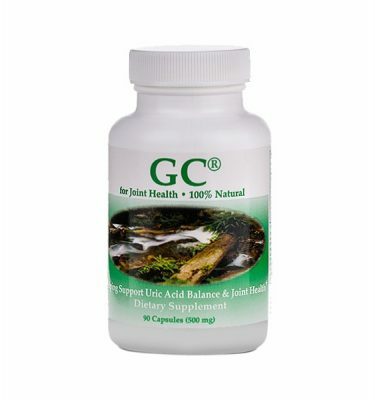 GC® assists in holding the uric acid in a soluble state in order for the kidneys to remove the excess from the blood supply thus, avoiding the inevitable crystal formation. This powerful blend of herbs aids and enhances blood flow and blood purification, stimulate new liver cell growth, protect the liver from toxins. The kidney filtration and excretion is maximised, production of bile is increased, and boosts the immune and digestive systems. By doing so, we are addressing all of the areas involved in uric acid control and the proper use of such a potent and necessary antioxidant in the body. These herbs contain the ability to help metabolize the foods that can cause inflammation and aids to keep all uric acid production in soluble form which prevents acid crystallization in the joints. The most exciting is the ease and safety on the body’s acceptance of these food source based herbs making daily consumption not only possible but advantageous.. 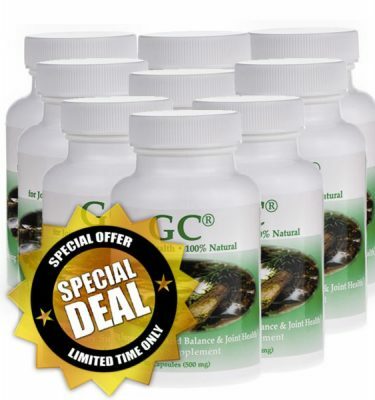 The GC® herbal blend is comprised of some of the safest, most effective herbs known to man and can be beneficial to everyone whether you have Gout or not. 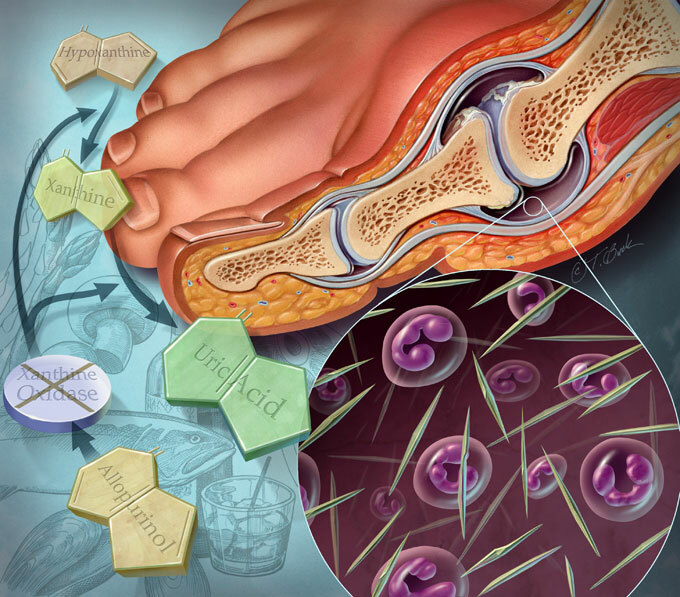 For meaningful and serious gout control, there is nothing that even comes close. 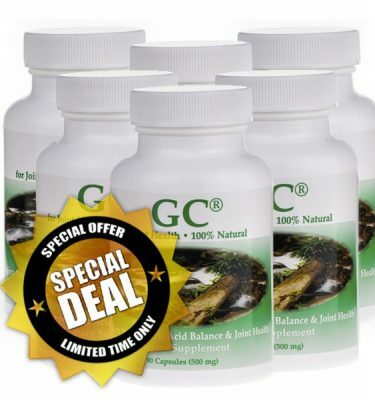 GC® is by far the best solution to an extremely painful condition. When Uric Acid remains soluble, you are able to expel it from your body with proper water intake. By establishing a proper working digestive system, all foods can be eaten once again without the fear of an attack. The herbal blend will help bring the digestive system back on track and keep it there as long as you maintain a good balance of foods eaten. The product Gout Care is excellent for the overall health of anyone with or without Gout. WATER INTAKE is absolutely vital. If you are under an attack and do not consume enough water it can and most likely will get worse. 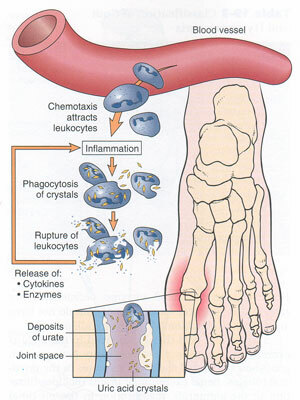 The crystals are being dissolved into a soluble form and the levels of uric acid in the blood will rise significantly. If you do not keep the blood hydrated the uric acid will re-crystallize. You should consume at least 30% more water than you expel. If you are under an attack when starting the Gout Care herbal blend it is imperative that you drink about 2.75 Litres of bottled water a day to relieve the attack as quickly as possible. After this attack you should consume the recommended amount of at least 1.75Litre a day with the Gout Care capsules. The herbs in Gout Care are a natural diuretic and stop the uric acid from crystallizing in the joints so you must provide the body with an exit to flush the uric acid out with the proper water intake. .
GOUT SUFFERERS lack a sufficient amount of a digestive enzyme called uricase, which oxidizes the insoluble uric acid into a highly soluble compound allowing the uric acid to be expelled from the body by the Kidneys and Intestines. A Gout Attack does not happen overnight, but is the results of weeks, months, even years of more uric acid being created daily than your system can dispose of. Antibiotics are prescribed to destroy bad bacteria but unfortunately they also destroy all of the friendly bacteria in the digestive system as well. 30% of the elimination of uric acid from the body is done by the bowels . When sufficient amounts of friendly bacteria are excluded from the bowels, the elimination process is inhibited resulting in even more uric acid build up. This also hampers the absorption of the herbal blend and makes it more difficult for your body to begin or continue its healing process. If you are on antibiotics please keep a strict diet, eat plenty of yoghurt and other sour dairy products, drink plenty of water, and take acidophilus/ L. bifidus Probiotics. Wait until you have finished with your antibiotic prescription before you begin to restore the friendly bacteria. The antibiotics will have a weakening effect on the herbal blend but you can maintain it with extra water, probiotics, and a careful diet until the friendly bacteria are back fully working in your system.Avoid taking products that contain Acetaminophen (tylenol, cold medicines, etc.) while under an attack as they could prolong the illness and prevent the attack from subsiding. Gout Care is our signature herbal blend with which we have assisted people since its introduction over 12 years ago. We are excited to be able to offer you Friendly Fighters (FF) an excellent product that is not only room temperature stable, has a great shelf life, is consistent in quality and quantity, and MOST IMPORTANT of all has the ability to insure survival of the friendly bacteria strains through the stomach acids and into the intestines. Get 3 months supply off Gout Care & a Bottle of Friendly Fighters Probiotics. GoutCare may lower the insulin needs of type 2 diabetics. Please monitor your glucose levels closely and if necessary be sure to adjust your insulin accordingly. Some type 2 diabetics have reversed their need for insulin all together. The herbs in GoutCare aid to improve liver function. This can increase communication between the liver and pancreas creating improved insulin output from the pancreas. Very importantly you should always seek a Doctors professional advice regarding gout and uric acid levels. Information and statements regarding our dietary supplement (GC) have not been evaluated by any statutory or professional body and the information provided is not intended to be used to diagnose, treat, cure or prevent any disease. If you have a medical condition, or are taking a prescribed medication please consult with your Doctor. 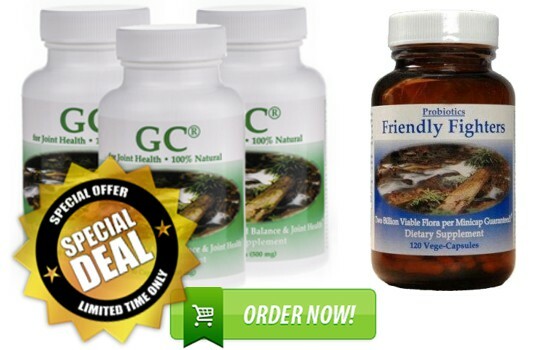 Gout care products GOUT CARE ( GC ) and FRIENDLY FIGHTER PROBIOTICS ( FF ) are provided to promote joint health and general well being leading to a healthy and active lifestyle.